Wow, I loved these delicious bites! I don’t think I’ve ever seen a spicy hamachi roll on a sushi menu, and while these weren’t at all spicy, they were very tasty. And you can’t beat the happy hour price! I enjoyed that the hamachi wasn’t chopped to a pulp – they still had a great solid texture. Noms! 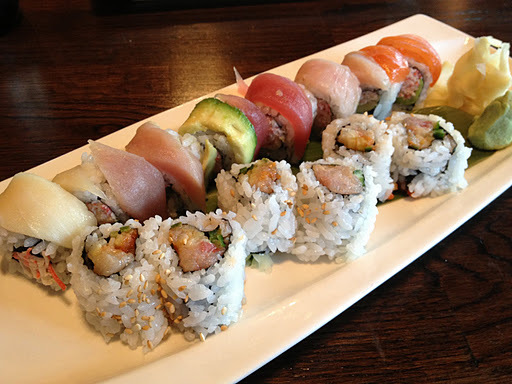 Rainbow roll and spicy hamachi roll. 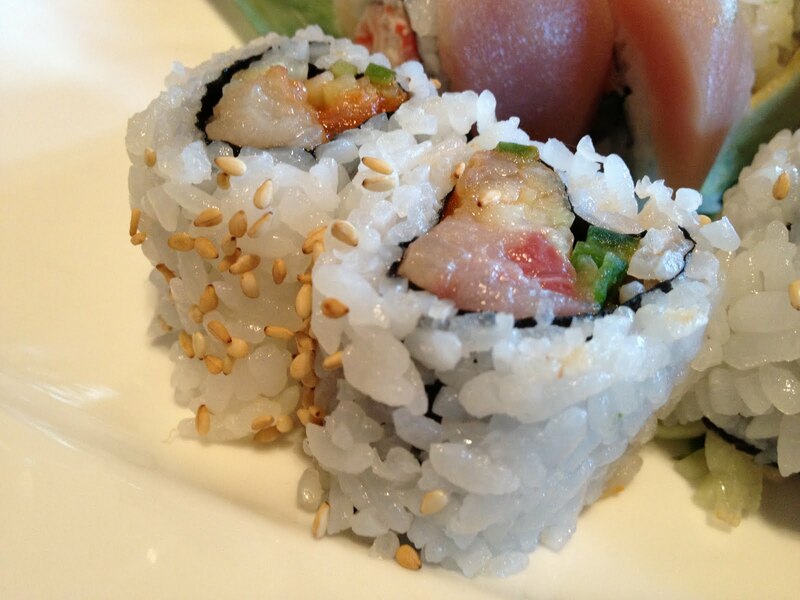 This entry was posted in Kama Sushi, Restaurant and tagged hamachi, Japanese, seafood, sesame, sushi by vicentesf. Bookmark the permalink.